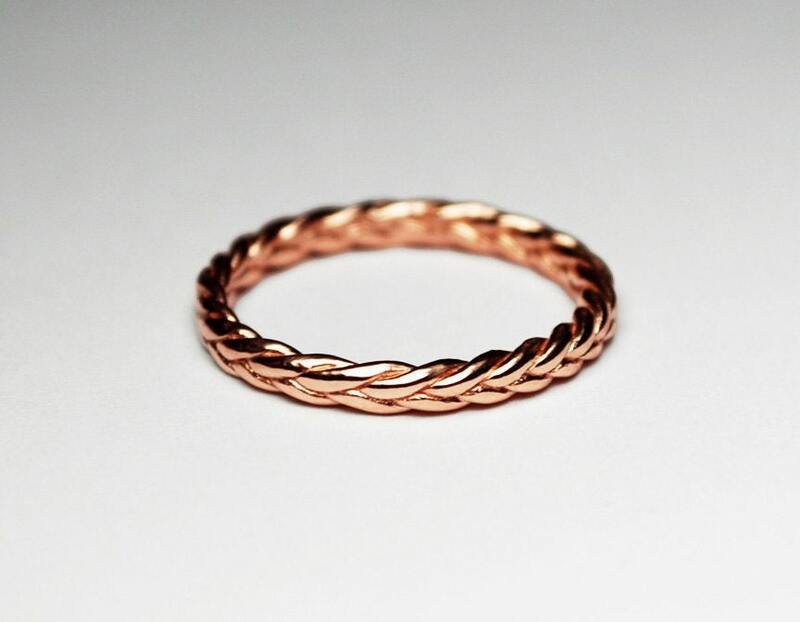 Dainty on it's own or bold in a stack. 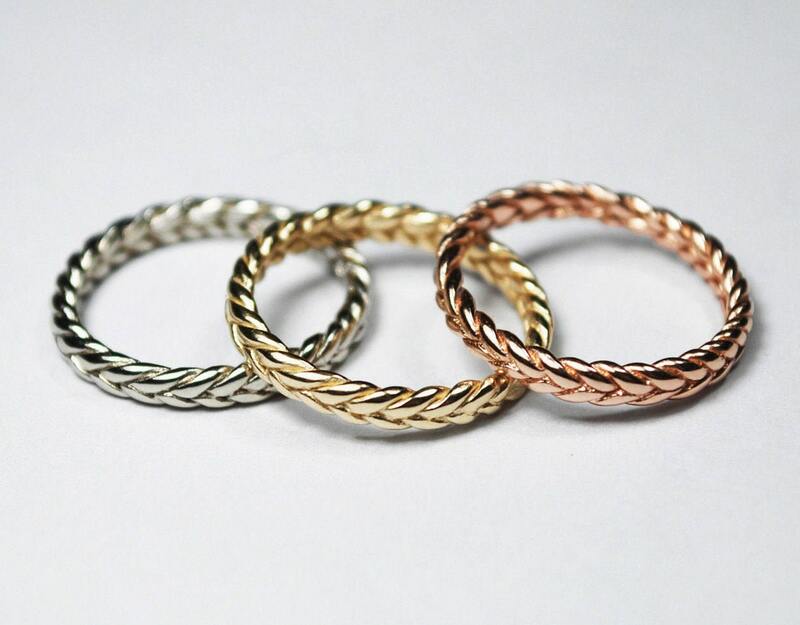 Available in 3 colors of gold (white, yellow or rose) each 18k solid gold braid stacking ring is approximately 2.1-2.5mm wide (dependent on size) with a depth which varies between 1.1-1.5mm (again dependent on size). 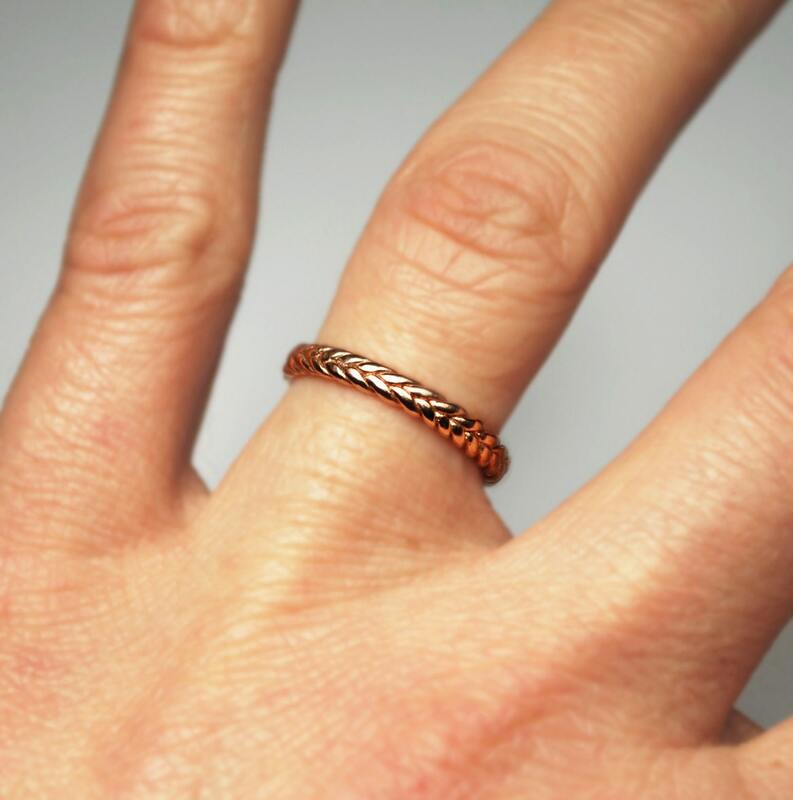 All rings are cast with recycled gold.. 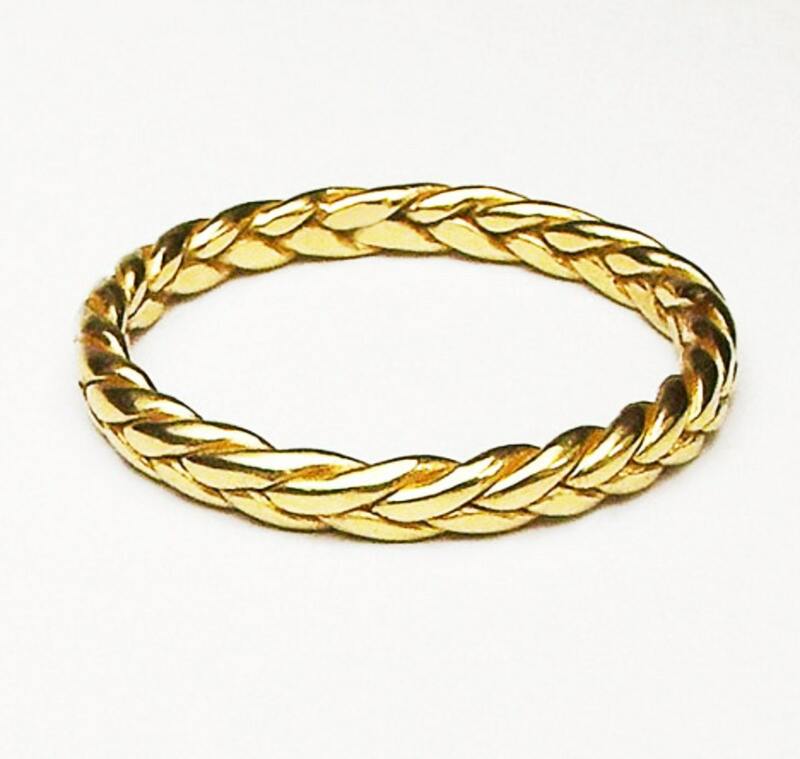 LISTING PRICE IS FOR ONE 18K GOLD RING (your choice of color). Available with HIGH POLISH or SATIN FINISH. Please let me know your preferred finish in the "Notes to Seller" at checkout. The regular 18k white gold alloy has a somewhat yellow cast to it. A more "grey/ white" palladium alloy is also available but it is slightly more expensive and will need a separate listing to order. Please contact me if you would like me to send you a picture of the regular white 18k option vs. the 18k white palladium alloy option. Please also contact me if you need a smaller or larger size. Free to contact me if you have any other questions.